Want to know what it’s like to test drive a new Volkswagen model or a used car at our nearby VW dealership? 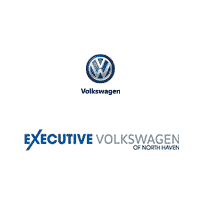 Schedule a test drive at Executive Volkswagen of North Haven online! We’ve made it easy with this simple form. Just send over your contact information, the vehicle you’re interested in, and what day you would like to stop by. A friendly member of our staff will reach back out to you to confirm your appointment. We can’t wait to hear from you! We believe that test driving a vehicle is the best way to discover if it’s right for you. When you get behind the wheel, we recommend scoping out the car’s interior. Make sure the vehicle has enough comfort and space for your everyday needs, and contains the safety and technology enhancements you desire! As you’re driving, pay close attention to the vehicle’s performance and handling to ensure that you’re cruising comfortably and confidently. Before visiting us for your test drive, we suggest creating a checklist of all the characteristics and features that are a must-have for your new ride. Our staff is excited to help you throughout your car-buying journey. If you have any questions or comments before you meet us for your test drive, contact our Volkswagen dealer at (855) 250-6818. We proudly serve New Haven, Hamden and Wallingford.